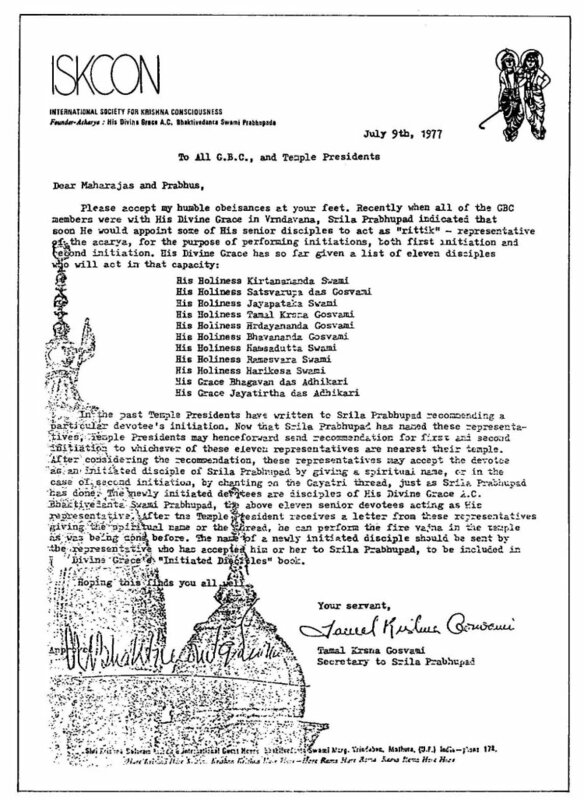 In the past Temple Presidents have written to Srila Prabhupada recommending a particular devotee”s initiation. Now that Srila Prabhupada has named these representatives, Temple Presidents may henceforward send recommendation for first and second initiation to whichever of these eleven representatives are nearest their temple. 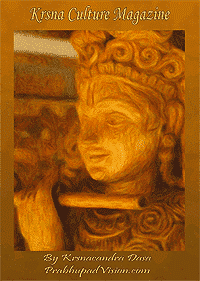 After considering the recommendation, these representatives may accept the devotee as an initiated disciple of Srila Prabhupada by giving a spiritual name, or in the case of second initiation, by chanting on the Gayatri thread, just as Srila Prabhupada has done. The newly initiated devotees are disciples of His Divine Grace A.C. Bhaktivedanta Swami Prabhupad, the above eleven senior devotees acting as His representative. After the Temple President receives a letter from these representatives giving the spiritual name or the thread, he can perform the fire yajna in the temple as was being done before. The name of a newly initiated disciple should be sent by the representative who has accepted him or her to Srila Prabhupada, to be included in His Divine Grace”s “Initiated Disciples” book.